What if surfboards had souls? Surfboards. They do have souls. They’ve got personalities, just like we do. Quirks, habits, and even shortcomings, which we tend to overlook in favor of their more positive attributes. Like a girlfriend who is, actually, pretty high-maintenance, but she’s so ludicrously good at making up, that you’re willing to fight with her. Constantly if need be. Yeah, it’s hard to break up with a board that has the perfect amount of pop or turns on a dime. 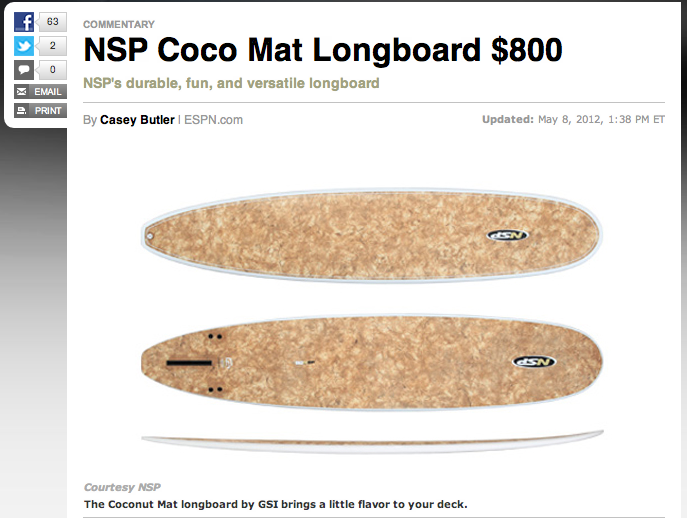 But some surfboards are more well-rounded than others. Naturally, some are stronger. Some of them have backbones. Literally. They’re composed of sinews and ribs, and right in the middle of it all: heart. They’re take-home-to-mom caliber. 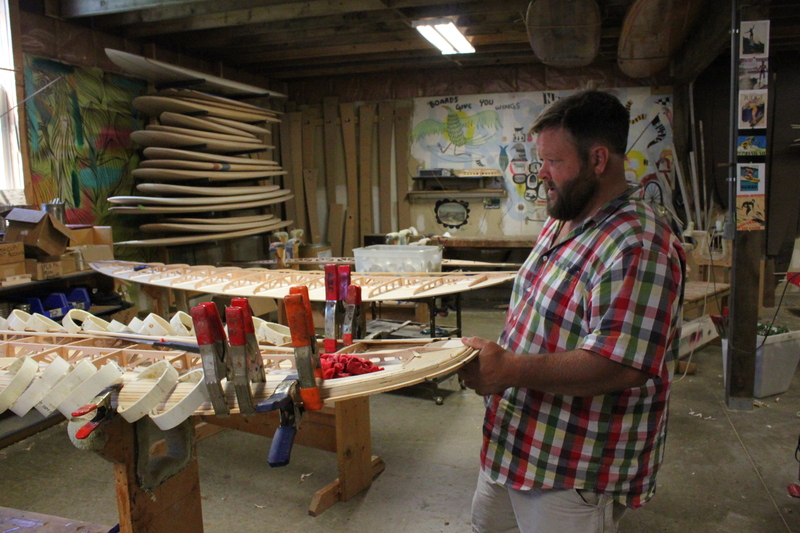 The boards made by Grain Surfboards in York, Maine are that kind of boards. Custom-built, hollow wood beauties. And of course, they exist in a very limited number. 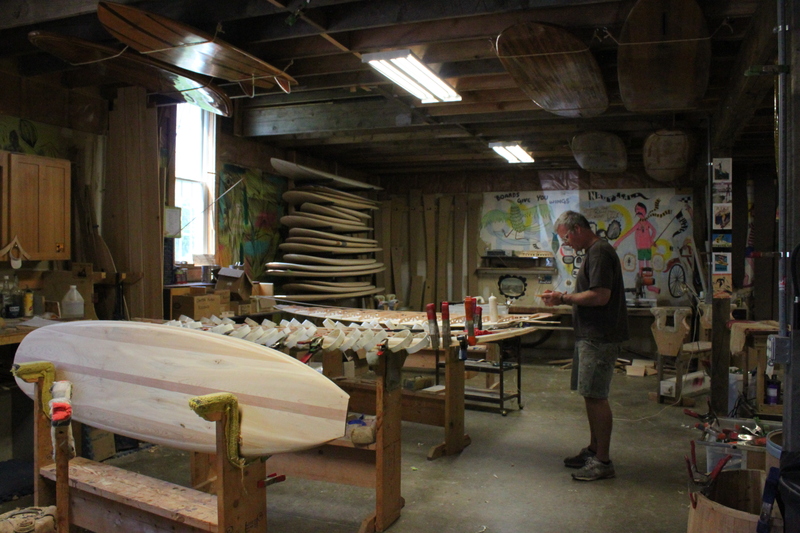 Grain generally offers three types of surfboard building classes, which allow students to do 90 percent of the building themselves: A seven-day course, a four-day “blitz,” and a two-day finless craft class with alaia master Jon Wegener. Grain also sells kits that include all of the necessary ingredients for about half the price; their buyers do 100 percent of the work. Most people opt for the classes. East Coast surfing elicits eyebrow raising in many parts of the world. Yes, still. And due to the cold water and perceived lack of waves, Maine may as well be the Moon to most surfers. But Maine technically has more miles of coastline than California (3,478, thanks to its bevy of nooks and crannies) and much of it is surfable. York juts out into the North Atlantic and picks up loads of swell. Its surf scene is burgeoning. Nonetheless it’s hard to get anyone, let alone surfers, to call on coastal Maine and its sub-zero sea breezes in the dead of winter. “I put Roxy’s top of the line women’s cold water suit under scrutiny in one of the coldest places I could imagine surfing: Maine. In the middle of January, which is scientifically proven to be the coldest of all months in the Northeast. The 5/4/3 Cypher emerged as a first-rate defender of damsels in atmospheric distress.” Click the photo for the full review on ESPN XGames Surfing. To save yourself the embarrassment of not knowing who writes it. 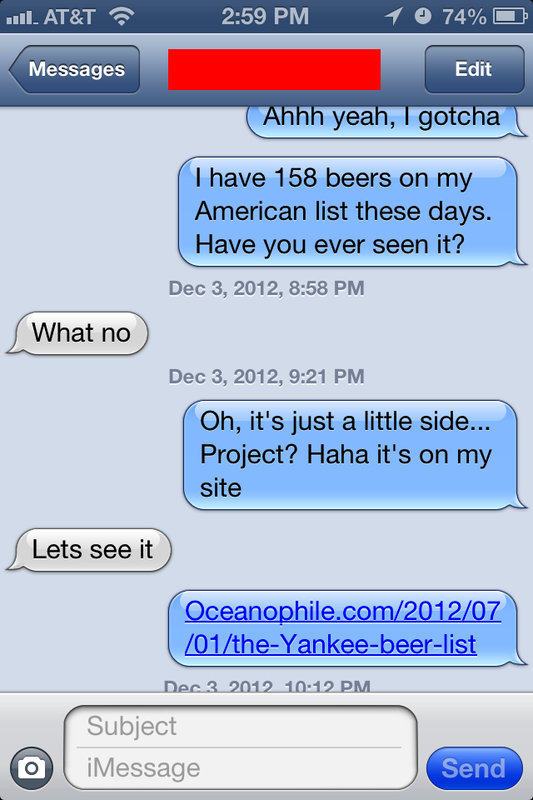 Note: I cannot help you with the embarrassment of not knowing who you’re texting. The best thing about longboarding at Snapper is that you can, basically, surf all the way down to Kirra. Which is about 1 km and it’s amazing. The walk back, however, will leave you disinterested in lathering your shampoo and shaving your legs. On a side note, a whole bunch of good-lookin’ dudes will offer to help you, which is good for your girl self-esteem (if, in fact, you’re a girl) and bad for your surfer ego. 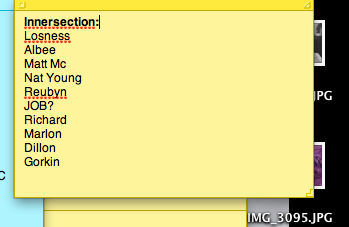 Less messy than the paper kind.